TOOMEBRIDGE manufacturer SDC has secured a major order worth £6.8 million with Eddie Stobart. 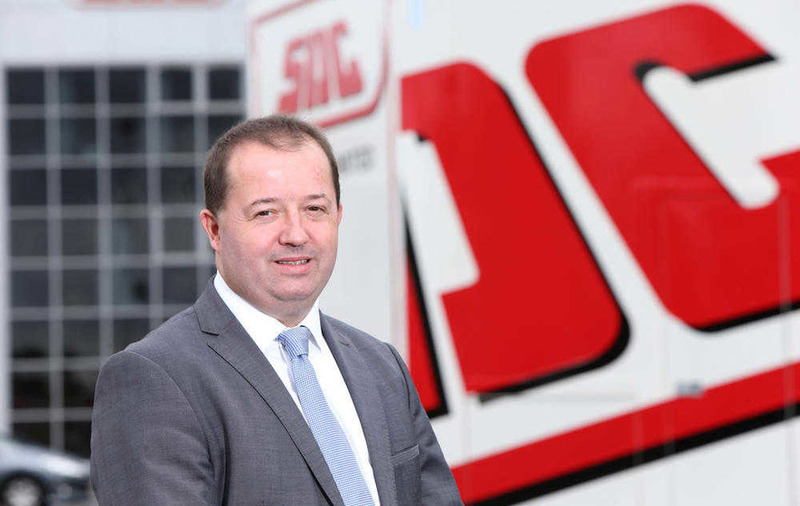 The company will provide 240 new trailers to Stobart in what is the first major new contract since SDC was acquired by China-based CIMC Vehicles. The order features 50 gooseneck skeletal trailers and 25 extendable skeletal trailers for Eddie Stobart’s port logistics, 125 curtainsiders for retail operation and 40 brick / block trailers which will be put to use in the operator’s new aggregate division. It is a significant investment by the haulier which acquired 650 SDC curtainsider and boxvan trailers earlier this year. Meanwhile, SDC’s new Kinetic Energy Recovery System (KERS) curtainsider (which is undergoing road testing trials by Eddie Stobart) has been shortlisted out of 72 entries for the prestigious European Trailer Innovation Award. The innovation which delivers a reduction in fuel consumption and greenhouse gas emissions by up to 25 per cent, will make its way to the Germany later this month, where the winners will be announced at the 66th IAA Commercial Vehicle event in Hannover. SDC will be showcasing three trailers at the eight day event in Hannover, alongside a tipping silo tanker trailer from sister company LAG trailers in Belgium. SDC Trailers chief executive Mark Cuskeran said: “It’s been a busy and momentous year for SDC to date, with an expansion to our production facilities, the launch of our pioneering new KERS trailer, our acquisition by CIMC and now the IAA show and Trailer Innovation Awards. SDC employs more than 900 staff at its plants in Toomebridge, Antrim and Nottinghamshire.